This simple mod adds more wildlife around the island of Falskaar so that the wilderness area fells more lively. 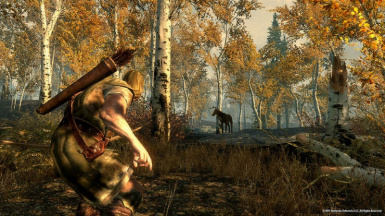 Falskaar is a well-done, very polished mod but i found the wilderness area on the island felt a bit empty and devoid of life especially in the forest around Amber Creek. This mod adds spawn points for passive animals ad predators throughout the island. 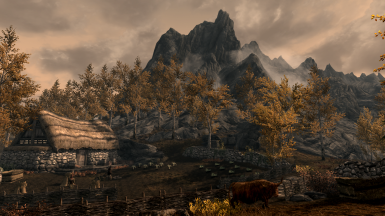 It's more of an atmosphere mod as it won't significantly change the gameplay of Falskaar itself. I've added chickens around farms, mudcrabs and horkers along the coast, predators and preys in the wilderness. You'll also encounter the odd bear lying on the road waiting for the daring adventurer to cross his path. The mod uses only the vanilla leveled lists so it should be compatible with pretty much anything. I personnally use it with Requiem and skyrim immersive creatures with no problem. On my high-end system there is no performance hits, though for low-end systems it could decrease performance. 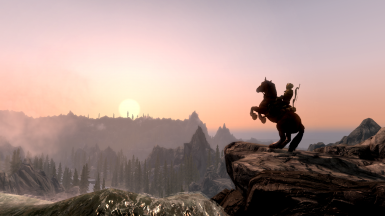 The mod has been cleaned using tes5edit. It should be safe to remove as no scripts are involved, the mod only adds spawn points.